Nourishing oil serum for hands, cuticles and nails intensively moisturizes and smoothes the skin. It is quickly absorbed, leaving a delicate, non-greasy protective layer, which stays on even after several hand washes. 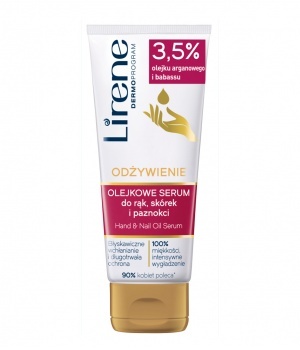 The serum softens the cuticles and perfectly nourishes the nails, making tchem visibly stronger.